dianova ́s new website is online! As from now we offer anti-Alpaca Secondary Antibodies by Jackson ImmunoResearch. The 2016 CNS WHO presents a major restructuring and recommends IDH1 R132H immunohistochemistry (IHC) as an initial step in glioma diagnosis. Because of the high importance of clone H09, currently imitation products of the original anti-IDH1 R132H clone H09 are released but with lower quality and with distinct negative implications for application. As from now we offer more than 2500 Phospho-specific antibodies from Affinity Biosciences. As from now we offer IgY-Antibodies from chicken eggs. Production without harming animal welfare and many advantages for immunoassays. 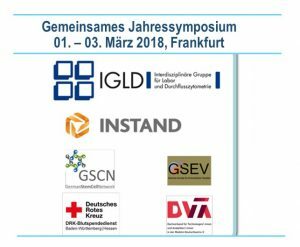 Meet us at this years's IGLD Annual Symposium in Frankfurt! New attendance records of more than 800 participants and 50 industrial exhibitors are expected for this year’s joint annual symposium of IGLD e.V. and INSTAND e.V. on March 1-3 in Frankfurt. In the symposia and workshops organized with the specialist societies GSEV, DVTA, GSCN, and the German Red Cross, you can expect highly interesting contributions about exciting topics in the field of laboratory medicine, flow cytometry, stem cell biology, and vesicle research. The visit of the industrial exhibition and lectures on March 1./2. is free for all participants. Login here. Visit us in the industrial exhibition! We will be there together with our Spanish partner ImmunoStep S.L. and will provide information about the latest kits for exosome detection and quantification, alpaca antibodies, fluorescence conjugates for flow cytometry, and ELISA kits for diagnostics and clinical research. DVTA: Dachverband für Technologen/-innen und Analytiker/-innen in der Medizin Deutschland e.V. INSTAND: Gesellschaft zur Förderung der Qualitätssicherung in medizinischen Laboratorien e.V. 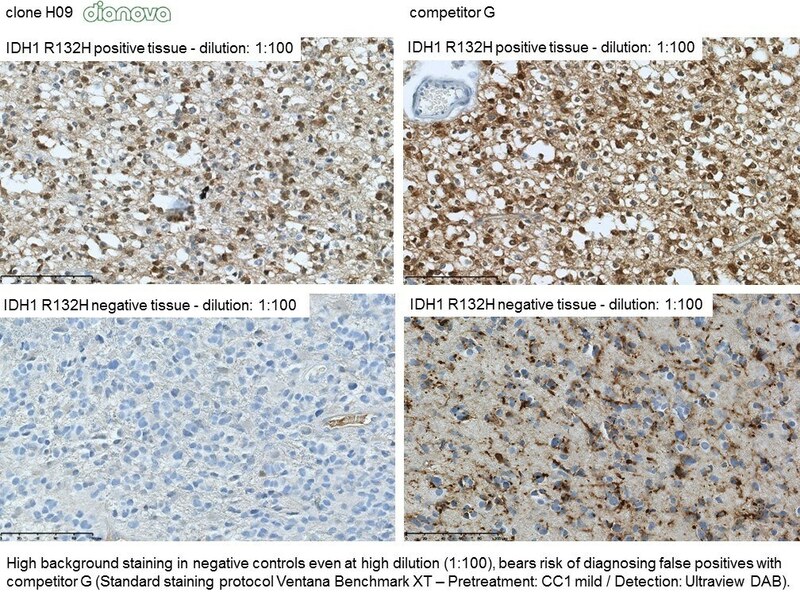 Now available: Anti-CD45R (Ms) for IHC (FFPE). Our own monoclonal Pan B-cell marker Anti-CD45R (Ms) is now available. We wish all of our customers a wonderful holiday season and a prosperous 2018. Between the holidays we are glad to take your orders and offer technical support. In the new year, we start shipping on January 2nd, as usual, free of charge within Germany. We would like to thank all participants and organizers of this year’s 9th Autumn School Current Concepts in Immunology 2017. We wish all winners a lot of fun with their prizes. Now available: Anti-TIGIT (Hu) for IHC (FFPE). Our own monoclonal Anti-TIGIT Antibody (Hu) is now available. Rabbit monoclonal Optibodies (Nordic Biosite) for IHC (FFPE). The selection of rabbit monoclonal optibodies has been expanded by Nordic Biosite. Due to the G20 Summit in Hamburg our office will be closed on Friday, July 7th 2017. We will resume regular office ours on Monday July 10th 2017. We would like to apologize for any inconvenience! We are happy to announce the launch of our new website. A modern reduced design makes it easy to find the products you are looking for and the responsive design guaranties an excellent user experience on different devices. Brilliant Violet 421 & 480 Secondary antibody conjugates. More colours for your multiple labeling assay! We are pleased to welcome SynAbs as new immunoglobulin class and subclass-specific monoclonal antibody manufacturer at dianova. Anti-Mouse CD3 for IHC-P! FFPE-validated for mouse histology. You have the choice: Rat clone HH3E or Rabbit polyclonal antibody. 46th Annual Meeting of the German Society for Immunology from September, 27-30 in Hamburg. Congress of the International Academy of Pathology & the European Society of Pathology. CNS WHO classification recommends IDH1 R132H -IHC.